“I want one English subtitle track that mirrors what the English actors are saying, but I want a second English subtitle track that would accompany the Japanese audio. Can we do that?” I asked a room full of Japanese developers via teleconference. A moment of silence passed that felt like an eternity. There was clearly some confusion. I’m Scott Strichart, localization producer for the Yakuza series, and this is the story of why our upcoming game, Judgment, has two audio languages and two English subtitle tracks (on top of the French, Italian, German, and Castilian Spanish subtitle tracks). It’s been about 13 years since we’ve had an English audio option in a Yakuza game. Despite having some incredible talent playing key roles, that dub just… wasn’t very well-received. 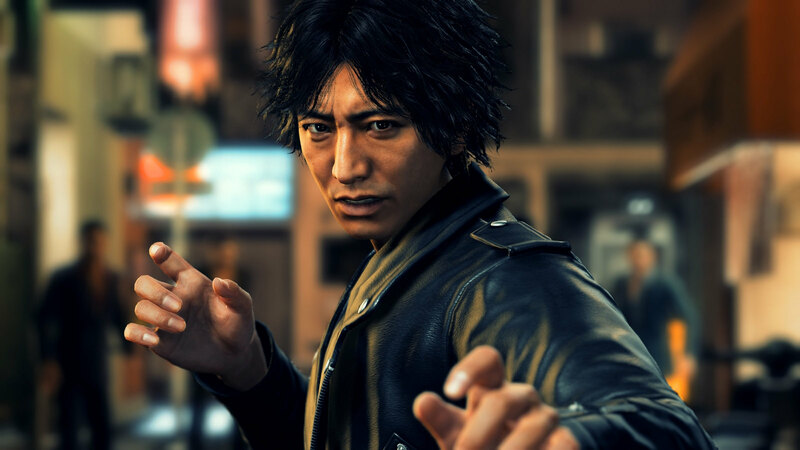 We’ve only had Japanese audio as an option ever since, but with Judgment introducing a completely fresh cast, we figured now would be a great time to try this whole English thing out again, while of course offering the original Japanese audio if that’s what you’d prefer. But what I really want to talk about is how no matter which audio language you select, you’re getting a subtitle track specifically crafted to that language, and we’re one of the first games ever to offer that. Have you ever played a game with a dub and selected the Japanese audio, only to have the English dub’s subtitles appear, despite clearly not matching the length or maybe even the intensity of the line? People call those “dubtitles,” and they happen because the English audio is generally treated as the lead language, for obvious reasons, and the Japanese audio acts as simply a bonus feature for the enthusiast crowd. But for a game as steeped in Japanese as Judgment and its Yakuza legacy is, this was not an acceptable concession to me. So we localized the story twice. And I had to convince some people to let us do that. I brought up examples of some pretty big films that did this. Even some anime on streaming services does this. So why haven’t games? Well, the simple answer is because games have a lot more text, so I want repeat that first sentence to make sure it carries the appropriate amount of weight: We localized the story twice. Essentially, we took a base translation and then pushed it out into two different directions for Japanese audio and English audio. The Japanese audio got our traditional “Yakuza” pass, listening intently to each line and crafting the dialog to suit it. The English script was written for actors to perform it, with more of a focus on making sure it sounded like things people would actually say in English. Sometimes, the two versions are totally the same! Others, it’s totally different. Both languages ebb and flow differently by nature, and this allowed us to play to each one’s strengths, rather than let the English be hampered by Japanese sentence structure, or the Japanese to have dubtitles that are clearly not what the speaker is saying, even to the untrained ear. It also allowed us to do scenes like this, that arrive at the same idea via different paths. In the Japanese, the previous line is “Fair warning…” whereas in English, the previous line is, “You still wanna sue?” Both versions stage the threat differently, but Yagami sounds like a bona fide badass in both versions, which is ultimately what we set out to accomplish. Watching the two trailers we’ve made, you’ll hear a few more little differences between the two as well. If you’re worried, the English is still a faithful localization of the story, and the Japanese subtitles were still crafted with all the considerations for a good read that always goes into a Yakuza title localization. So while I know some of our longtime fans are going to put on the Japanese audio and never look back, while others will simply prefer English because that’s their first language, I do hope that after your first playthrough, you’ll give the other language a shot! It’s not like you’re going to find all the hidden cats in one playthrough anyway. What we’ve accomplished here feels like a pretty monumental achievement in game localization, and I hope you all are willing to give us feedback on if it ends up working for you, because it certainly wasn’t easy! I dream of a day that efforts like this will put the whole subs versus dubs debate to rest — both are valid ways to experience any media, as long as they’re both treated with equal care. “We can probably do that, but… why?” the dev team asked. “Because it’s the right thing to do,” I said. Judgment launches June 25 on PS4 in Japanese and English audio and English, French, Italian, German, and Castilian Spanish subs, (which are based off the Japanese audio sub track.) All physical copies include a reversible cover and a Ryu Ga Gotoku Studio sticker, and digital pre-orders include a static theme featuring Judgment’s protagonist Yagami and early access to the full game on June 21. Thanks everyone!